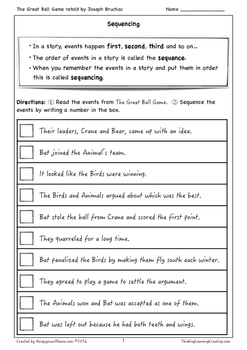 Sentence strips, worksheets and a poster for sequencing and summarizing The Great Ball Game as published in Houghton Mifflin Reading 2. 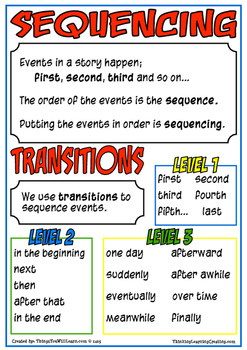 Includes a colorful sequencing poster, double sided sentences strips for laminating, matching worksheets and suggestions for how use these in your classroom. 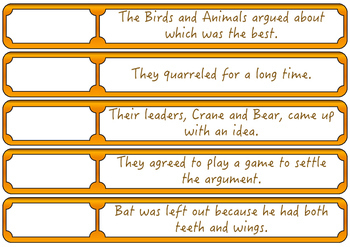 The summarizing sheets have two versions both with and without penmanship lines. 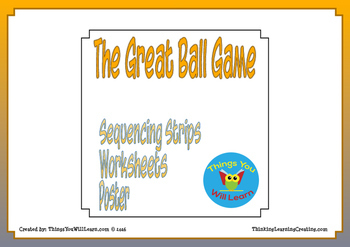 This pack is offered separately but is included in The Great Ball Game Student Workbook. The Great Ball Game Sequence and Summarize by Michael Allen Kelly is licensed under a Creative Commons Attribution-NonCommercial-NoDerivatives 4.0 International License.